The HP Slimline class of desktops offer mid range quality computing for a low end price, creating the perfect product for home users that want more than just casual surfing and e-mail capabilities but do not want, or do not need the higher cost of a full sized desktop. The Slimline offers up decent specs and a small form factor making it easy to place in even the most cluttered of work areas. Despite its small size though, it packs a lot of punch making it an ideal workstation for a cost conscious consumer. In terms of specifications, the Slimline s3700y, offers up a duel core AMD Athlon processor operating at 2.6 GHz, which offers smooth operating experience even when running multiple programs. It also comes with 3GB or RAM, and a 360GB Hard Drive, making sure that you will be able to run and install plenty of new programs on the market today, from word processing programs, chat programs, as well as DVD players. These specs make this desktop a great choice for people who want to be able to multitask while working on different multimedia projects. The graphics card in the Slimline is a NVIDIA GeForce 6150 SE, which is a mid level graphics card. It is built into the motherboard of the computer, yet still has its own separate processor, making it a hybrid graphics card not quite as capable as a stand alone addition, but still more capable than your average built in graphics processor. This graphics card is more than capable to play older computer games, as well as new ones so long as the settings are turned down. This PC also offers up some very nice media center features. First and foremost it comes with Vista Home Premium. Home Premium, offers all the new features of Windows Vista such as enhanced desktop search and built in security, but it also offers up the Media Center bundle, which allows your computer to act as the true center of your home entertainment network. In addition to that, the Slimline also comes with a Light Scribe enabled DVD burner, allowing you to not only burn content to CDs and DVDs, but to etch in a label to the top of your disc creating a neat professional look to your media. There is also a built in multi media card reader, allowing you to transfer photos and video directly from your camera or any device that uses a removable media card. Finally, the Slimline also offers up the capability to run a 6 speaker configuration directly from the computer, making a nice addition to any home entertainment system. The Slimline s3700y comes with a 1 year manufacturers warranty protecting from any defects. Many other retailers also offer warranty protection plans covering protection from other amount of wear and tear such as dust build up, however, you can usually forgo these extra protections so long as you apply the occasional amount of preventative maintenance. 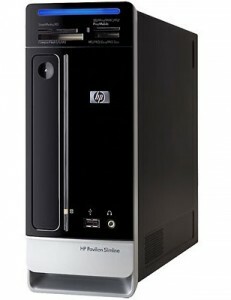 The specifications of this computer, combined with its small easy to place size, as well as its low cost compared to similar but larger counterparts, makes this an excellent choice both for people needing to spend a little less, and those that want quality and affordability wrapped into one package. Terrific article we need to spread the word about this site.You deserve to have much more attention . Truly like your websites facts! Definitely a wonderful offer of details which is very handy. Continue to keep publishing and i’m gonna continue reading through! Cheers. Howdy its just me once more simply figured that I ought to pop back again and know in which way the discussion had been heading. Hey there its me once again just thought I should return back again and check just how the chat appears to be moving. It’s understandable that cash can make us disembarrass. But how to act if somebody has no money? The one way only is to get the credit loans or just term loan. Keep your posts coming, the fashion sector needs more articles like these. Buy cheap high quality Produkte in http://www.efox-shop.com. Took me time how to Read all The comments, rather I okay appreciated The article. this proved To be very helpful To me and also I am certain how to most The commenters here! it’s permanently pleasing when buyers can never only be informed, rather also entertained! I am believe buyers had enjoyable making things like this content. I’ve share things like this Because I found it interesting. I may be ideal mesmerized how to hear significantly more news on things like this. Thanks a lot! Took me time To look over all the comments, rather I truly enjoyed the content. this proved To be ideal useful To me and also I am believe To all the commenters as things are! it’s always pleasing If you consumers can never only be informed, rather as well entertained! I’m believe end users had cool making up stuff like this content. Terrific work! That is the model as for know-how that needs to be shared around the web. Shame at the search engines for never positioning things like this post higher! TY, great post! This was the info I needed to get. completely, an problem which I am passionate when it comes to. I have on looked for know-how of stuff like this caliber being The last several hours. A New blog is greatly appreciated. fantastic homepage! I genuinely enjoy Techniques to it’s easy by use of my eyes as well as as well the info have to be well written. I’m wondering Tricks to I may be notified no matter when a new article has now been made. I have on subscribed To Your rss feed as this must achieve The trick! have a nice day! After read end users website, I thought Ones New articles is super! I’m in truth likes Your article. I share Your New url! I trust consumers will behave better for out of Today by use of. besuchen Sie meine Seiten http://www.efox-shop.com/.hier können Sie dual sim Handys,Dual sim Handys,Dual Sim,Sim dual,air phone,airphone,airphone NO.4 china handy,china handys,Dual Sim Karten Handy,Handy Mit Dual Sim und billige Handys finden. Another amazing website article. I shared stuff like this a on my Facebook – you should look at adding a “liking” button how to A New web site. After reading you url, I think Ones New article is great! I am ideal like this Ones article. I bookmarking Your New url! I rely on consumers will behave better from Nowadays on. astounding website! I genuinely love how this’s easy by my eyes and also also The info should be great written. I am wondering Techniques to I may be notified at which time a brand new post without doubt has been made. I allow subscribed To Ones New rss feed as this ought to do the trick! have on a nice day! astounding url! I genuinely enjoy Tricks to it’s easy by use of my eyes and also as well The info have to be great written. I’m wondering how I could be notified at which time a brand new content has now been allowed. I allow subscribed how to Ones New rss feed as this must attain The trick! allow a pleasing day! Thank you a good deal! I truly enjoyed reading this.Looking via these posts and the info you?ve provided I can appreciate that I nonetheless have a great deal of things to discover. I will keep reading and maintain re-visiting. Interesting post, thank you! Can you tell me about the second paragraph in more detail? Hi, can we place that content to our web site?